“You will know the truth, and the truth will make you free.” We hear this quote of Jesus every Reformation Sunday. Twice even. Once sung in the Gospel Acclamation. Once read in the Gospel appointed for the day. We almost didn’t hear this morning. For some well-intentioned variety, I was planning on using the other gospel appointed for this day: Mark’s telling of Jesus’ miracle that restored sight to Bartimaeus outside of Jericho. It is the last story in Mark, the last of Jesus’ miracles before he has his triumphant entry into Jerusalem. (What we call Palm Sunday.) It is as if Mark is telling us, open your eyes because the important part is coming. 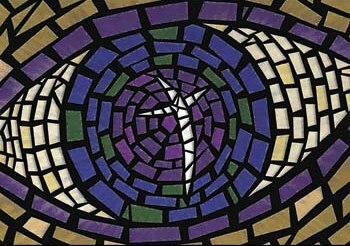 As Lutherans, we know and teach that the opening of the eyes of faith is a gift from God at work in us through the Holy Spirit. It’s all grace, even the God-given ability to experience it. And I knew we needed to hear Jesus say this again. We needed to hear it today. In this context. In this light. Sure, for Luther it meant cutting through the tradition that had shrouded the truth of God’s grace, mercy, and love, made known in Jesus, with all kinds of rules and regulations, myths and mandates, works and worries. But what does this mean to us today? You will know the truth, and the truth will make you free. For all of us who look hard at ourselves in confession and then hear the good news of God’s forgiveness, we know the resurrecting power of facing the truth about ourselves. For those who have done any work with a therapist, you know the healing power of speaking your truth in a safe space. For those who have or are dealing with addiction, you know the freeing power of admitting the truth and continuing to speak it with others. For those who have spoken out about abuse, you know the restoring power that comes from reclaiming your dignity. As individuals, we know the power of facing, speaking, admitting, claiming the truth about ourselves. But I weep for our nation that continues to attempt to venture forward with closed eyes. Eyes closed to the anti-Semitism that bubbles below the surface. Eyes closed to the racism that continues to show its evil in too, too many ways, from miss uses of law enforcement and mass incarceration, to economic and educational inequality. As a nation, our eyes continue to be closed to the needs of those who identify as Transgender and gender non-conforming. Our nation is working overtime trying to keep its eyes closed to the truth of immigrant, refugees, and asylum seekers. Eyes remain closed to the plight and injustice shown to indigenous peoples. Eyes closed to the damage we are doing to the environment for the sake of comfort and profit. These examples and more of communal eyes closed did not start two years ago. This is part of our legacy that has been aggravated of late because we are moving from just keeping eyes shut to the truth, to replacing the ignored truth by embracing lies. Yes, we do know the truth that sets us free. We are raised to new life in the waters of baptism and named children of God. We are fed at the table with the presence of Jesus our friend. We are filled with the Holy Spirit for the living of our lives. This truth sets us free so that we might be bound to speaking the truth: through our lives, in this place, in Jesus’ name, for the sake of the world. Based on this truth, here is a challenge for this Reformation Sunday. While on this day we mark the beginning of the Reformation that started 501 years ago Wednesday, let us never mark the end of the Reformation. The living church of the living God, the world-serving body of Christ, the Spirit-filled community of believers, is always reforming – being reformed by the wild and wind-blowing Spirit and working to reform the world to bring it closer to the kingdom of God that Jesus brought to us. What will you do this week, as part of the reforming church, to tell the truth that makes us free?